The US drone program in Pakistan killed over 200 children, how is it any different from the APS massacre? Last week saw a lot of flurried comments once again condemning US drone strikes in Pakistan. Chief of Army Staff (COAS) General Raheel Sharif in a meeting with United States Ambassador to Pakistan, David Hale, on May 25, 2016, expressed concerns over the US drone strike in Balochistan on May 23rd in which Afghan Taliban chief Mullah Akhtar Mansoor was reportedly killed. Prime Minister Nawaz Sharif had criticised the US drone strikes earlier, describing them as a violation of Pakistan’s sovereignty. In an adjournment motion submitted by Pakistan People’s Party (PPP) spokesman Senator Farhatullah Babar to the Senate, he said the issue would alter the security calculus in the region and that it posed new threats to national security and sovereignty. While the protests over US drone strikes in Pakistan gain momentum now, it is questionable why this comes so late. The US drone strike which allegedly killed Mullah Akhtar Mansoor occurred in a province which has long been a ‘red line’ for Pakistan but one wonders why the death of civilians in other areas has been so passively accepted. The Bureau of Investigative Journalism has reported the deaths of 966 civilians in Pakistan as a result of US drone strikes since the year 2004. The Huffington Post had reported last year that nearly 90 per cent killed in US drone strikes Afghanistan, Pakistan, Yemen and Somalia were not the target. Uncertainty over the identity of one killed by a US drone has never been uncommon. While Iran issued a statement that denied allegations that Mansoor entered Pakistan from Iran before being killed in a US drone strike, a passport found at the site of the US drone attack targeting the Taliban leader reportedly bore the name of a Pakistani man named Wali Muhammad who carried a valid Iranian visa according to the Pakistani Foreign Ministry. According to the Washington Post and leaked intelligence documents, drone strikes conducted by the United States during a five month long campaign in Afghanistan caused the deaths of unintended targets nearly nine out of 10 times. In its 2014 report “You Never Die Twice, Multiple Kills in the US drone program” the UK Charity Reprieve had reported that in targeting al Qaeda leader, Ayman al Zawahiri, the CIA killed 76 children and 29 adults. They failed twice and Ayman al Zawahiri was reportedly still alive. In the six attempts it took the US to kill Qari Hussain, a deputy commander of the Tehreek-Taliban Pakistan (TTP), 128 people were killed including 13 children. Further, public reports suggest some men on the CIA Kill List have ‘died’ as many as seven times. The Obama administration had always portrayed drones as an effective and efficient weapon in the on-going war with al Qaeda and other radical groups. Yet classified Pentagon documents revealed in 2015 that the US military had faced “critical shortfalls” in the technology and even intelligence it uses to find and kill suspected terrorists. On May 9, 2013, Chief Justice Dost Muhammad in Foundation for Fundamental Rights vs Federation of Pakistan & 4 others, declared the US led drone strikes in Pakistan, including the northern areas, to be illegal on the basis of both domestic law in Pakistan and international law. 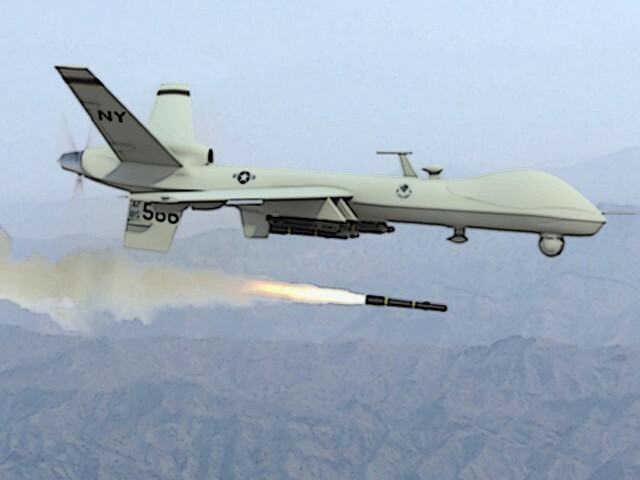 The court had recognised the human rights to life of the people living in Waziristan and ordered the Government of Pakistan to not only work towards the cessation of drone strikes by taking the matter to the United Nations (UN) but compensate the hundreds of innocent families who had lost lives and property as a result of the strikes. This never took place. In September 2014, the United Nations Human Rights Council (UNHRC) had also convened a panel to discuss the use of armed drones in counter-terrorism and military operations in accordance with international law. It had been pointed out then that the US drone program has amounted to be the largest extra judicial killing program in recent history, having killed over 200 children – a number larger than the number of children killed in the attack on the Army Public School in Peshawar. If the death and suffering of a significant number of civilians in Pakistan as a result of these strikes fails to raise any sympathy it at least remains factual that the US drone strategy in Pakistan has always raised serious ethical and legal concerns. As early as 2012, Christof Heyns, the UN special Rapporteur on extrajudicial killings, summary or arbitrary executions, told a conference in Geneva organised by the American Civil Liberties Union (ACLU) that President Barack Obama’s attacks in Pakistan, Yemen and elsewhere would encourage other states to flout long-established human rights standards. This would threaten 50 years of international law. Yet, here we are. 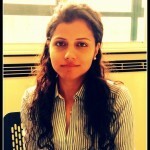 The author read her LLM from University College of London and has worked in human rights NGOs in Islamabad and London. She is currently a legal researcher for Corruption Watch (UK). Amidst such dismal set of facts, how is Pakistan still existing? The drone attacks are carried out by USA. APS was by Pakistani citizen. and How much Pakistan sponsored terrorism has killed world wide ? #Mariam Kizilbash this question is for you. how can whole world be fool and you are only smart nation ? Mansoor was in Pakistan, so was other all terrorists, so why Pakistani has not filed any case against him and let him prove his innocence, what stopped Pakistan in doing so? You can ask the same about your Military’s carpet bombing of Waziristan in the guise of Zarb E Azb. Close 2 million people were internally displaced. God knows how many killed and labelled Terrorists(considering most of the Terrorists would have escaped to safer havens knowing an operation is pending) and their dead bodies paraded in front of the media claiming them to be militants. Drones are being used in an area where Pakistan doesn’t exercise sovereignty. If you claim you have sovereignty(and control), then why are so many dangerous found there? Drones are the solution not the problem.The author is being ridiculous in her comparison.If Pakistan refuses to take out terrorists good or bad then they deserve drones.After 9/11 Pakistan received 33b usd to fight the so called war on terror but ended up housing Osama and his friend mullah omar. ..The US drone program in Pakistan killed over 200 children, how is it any different from the APS massacre?.. Let’s see, US DRONE PROGRAM “alleged” to kill some 200 children in collateral damage over the years! By comparison, PAKISTANS “GOOD TALIBAN” TERRORIST PROGRAM deliberately killed many thousands of civilians in Afghanistan over the same time period! 1)because decision makers money is in US banks. 3) Shelling (NATO forces) and passing information to Afghan Taliban on the hills of Durand Line by Pak army to alert of imminent NATO attack.